The 1956 National Tau Beta Pi Convention established an annual Outstanding Chapter Award to encourage and recognize high-grade work by the chapters in both routine and special affairs. 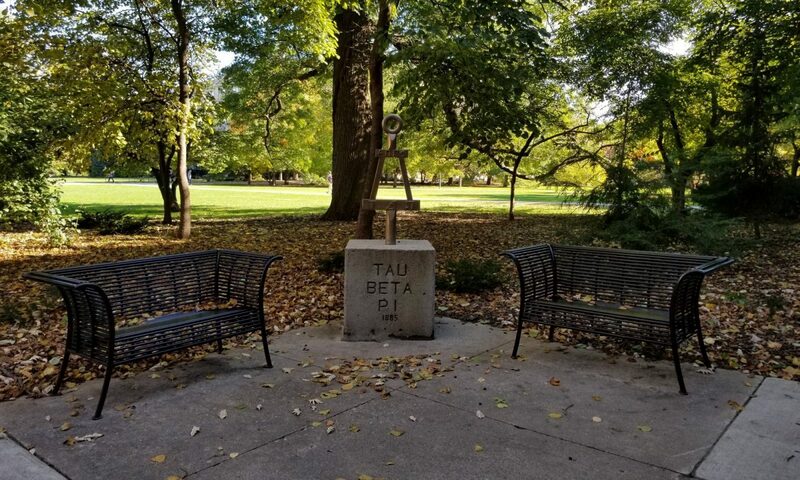 The award was based on how well chapter service projects fulfill the objectives of Tau Beta Pi and on the quality and promptness of chapter reports to the national headquarters. Until 1972 the Secretary-Treasurer annually appointed a committee of alumni as judges. Since then the judging has been done by a committee of student delegates at the annual Convention, where announcement of the winners is made. In 1978 the Executive Council re-named the award the R.C. Matthews Outstanding Chapter Award. The top award is a bronze plaque and is further recorded on the master bronze plaque at Headquarters. In addition to the winning chapter, one or more Chapters may receive Honorable mention as the runner-up. 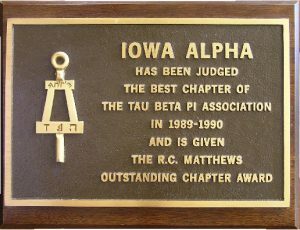 Since 1956 Iowa Alpha has received the R.C. Matthews Outstanding Chapter Award two times in 1989-90 and in 1991-92. In addition it has been runner-up/honorable mention 8 times: 1987-88, 1990-91, 1992-93, 1993-94, 1996-97, 2000-01, 2003-04 and 2016-17.